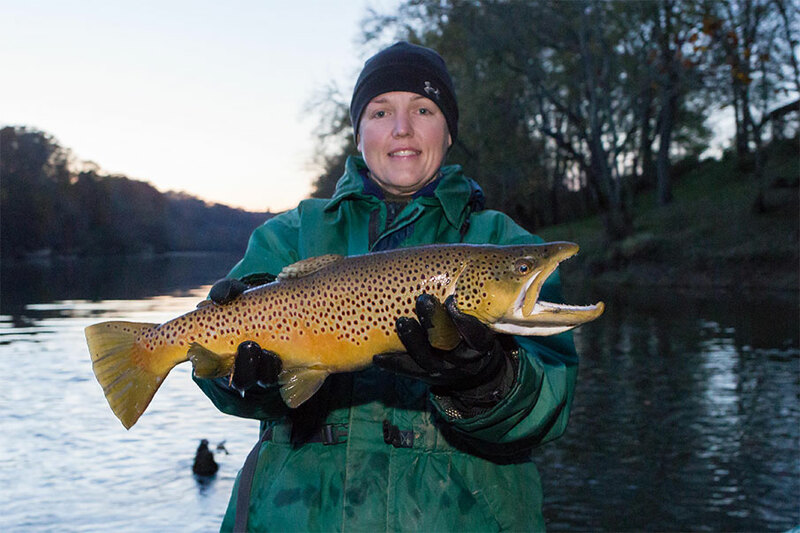 Marcy Anderson, assistant southeastern fisheries district biologist for the Kentucky Department of Fish and Wildlife Resources, holds a huge brown trout captured during population sampling on the Cumberland River last fall. This money benefits future biodiversity in Kentucky as it helps fund the restoration of fish species such as lake sturgeon and alligator gar. The fisheries division assists in the recovery of negatively impacted fish populations. Funding from the sale of Kentucky fishing licenses facilitated the planning and construction of Cedar Creek Lake, Kentucky’s only lake managed for trophy largemouth bass.